Is it just me, or is it the case that as soon as anyone even thinks about having a child, they immediately rush out to buy a massive seven-seat SUV? It often seems like that’s the way of things, and to me, it smacks of overkill. The Honda Civic is what’s known in established motoring parlance as a ‘small family car’. Now, if logic is anything to go by, that should mean it’d be suitable for a small family. And, that’s exactly what I’ve got. Bess is the smallest member at a year old, while Felix is only a little bigger at three. Mum Anna probably wouldn’t thank me for divulging her precise age to all and sundry, but as she constantly reminds me, she’s neither as old, nor as decrepit, as Dad. 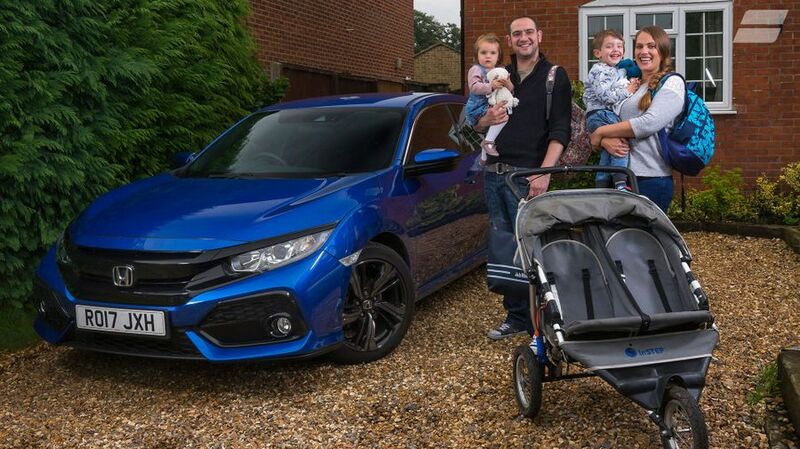 Over the next six months, the all-new Civic will become the fifth member of the Aistrop family; and, during that time, we’ll see if it can cope with the wide-ranging demands of family life. Will the kids’ child seats fit in the back comfortably? 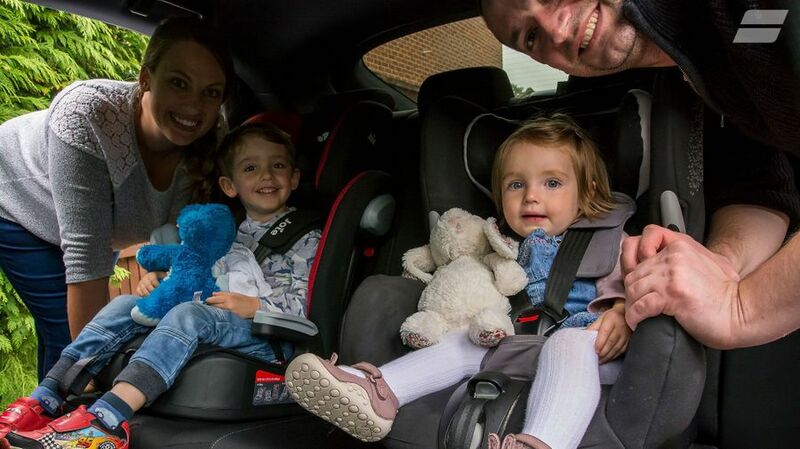 Will a double-buggy, a supersize change bag and all the other assorted paraphernalia that accompanies small people fit into the boot? Will the upholstery and carpets be hardy enough to cope with a constant barrage of crumbs and dribble? We shall soon see. The version of the Civic we’ve chosen to face the toughest of all tests is the one that the majority of buyers will choose. It only has a 1.0-litre, three-cylinder petrol engine, which may sound ridiculously tiny in a car of this size, especially when it’s expected to haul around a family of four and a bootful of junk. However, because this particular engine is fitted with a turbocharger, it delivers a very useful 129PS, while still keeping official fuel consumption and CO2 emissions impressively low. So far, we’ve got nowhere near the 58.9mpg suggested by the paperwork, but it’s very early days. On the trim front, we’ve gone for the third-rung SR grade because we reckon it strikes the best compromise between kit and affordability. It takes the already fairly generous kit of the SE, which includes alloy wheels, air-con, Bluetooth, DAB radio and parking sensors, and adds leather-covered controls, automatic wipers and a posher touch-screen infotainment system with sat-nav and a rear parking camera. Everything a busy parent could ever need – we hope. You also get a really impressive suite of standard safety systems that includes automatic emergency braking, lane-keeping assist and all manner of other clever technology. And, of course, safety is of paramount importance in a car that you use to carry your loved ones. So far, life with the Civic is pretty rosy. It’s a very nice car to drive, because that engine is really perky, and the suspension strikes a really nice balance between comfort and agility. We’re also enjoying all the luxury toys. Perhaps most importantly, the kids seem to like it (not least because blue is Felix’s favourite colour), and when your days revolve mainly around keeping the little ones happy – if only for your own sanity – that really counts for a lot.